The National Gallery of Ireland’s popular older sibling in London gets more of the spotlight, but Dublin’s crowning glory puts up a worthy fight. The NGI makes up for what it lacks in seniority and stone columns in charm and some well placed Goya. Add some works by Vermeer and Velázquez, and you’ve got a recipe for success. We never liked London that much, anyway. Ireland’s favorite museum has made some lucky bargains over the years, including a previously unidentified Rembrandt van Rijn purchased for twenty pounds back in 1896. It took over a century for experts to identify the true creator, bumping the understated canvas’ value up from a nice dinner out to millions. The next time you feel like selling a masterpiece by a prodigy of the Dutch Golden Age, ask yourself if you’ll get more than a few lattes and an artisanal burger out of the exchange. The NGI had already stumbled into fortune in 1993, discovering a Caravaggio in a Jesuit dining hall. Long thought to be a copy, the stunning Taking of Christ was verified as the real deal by experts. The tableau had been lost sometime before the late 1700s and was discovered quite by accident— the NGI’s Senior Conservator was asked to restore a handful of the Jesuits’ artworks and identified the masterwork with help from two grad students in Rome. It can be tough entering the job market on a liberal arts degree, but these rock stars won’t even have to pad their resumes. Unfortunately, every star gallery has to deal with naysayers. Years later, the National Gallery was pummeled by allegations that its Taking of Christ was really just a Flemish copy. A second, superior version had been found in Rome and declared an original. The National Gallery clings tightly to its centerpiece, but will the museum catalogue always include a Caravaggio? Authenticity dilemmas aren’t all that’s troubling the NGI. In 2012, a visitor faced six years in prison for punching a €10 million Monet. Five years later, the culprit would be arrested for jacking €200 in toothbrushes. The true crime here? The price of dental hygiene. Despite the mishaps, the National Gallery remains the most-visited free attraction in the country. The top destination with a cover charge is, naturally, the Guinness Storehouse. There’s more to Ireland than beer and shamrocks, everyone. Conrad, Peter. “In search of the real Caravaggio.” February 21, 2004. Accessed June 18, 2017. https://www.theguardian.com/uk/2004/feb/22/arts.artsnews. “Dublin gallery gains genuine Rembrandt.” The Guardian. October 31, 2001. Accessed June 18, 2017. https://www.theguardian.com/uk/2001/oct/31/ireland. “National Gallery of Ireland.” Wikipedia. May 19, 2017. Accessed June 18, 2017. https://en.wikipedia.org/wiki/National_Gallery_of_Ireland. “Our history.” National Gallery of Ireland. Accessed June 18, 2017. https://www.nationalgallery.ie/history. “The Taking of Christ (Caravaggio).” Wikipedia. February 23, 2017. Accessed June 18, 2017. https://en.wikipedia.org/wiki/The_Taking_of_Christ_(Caravaggio). 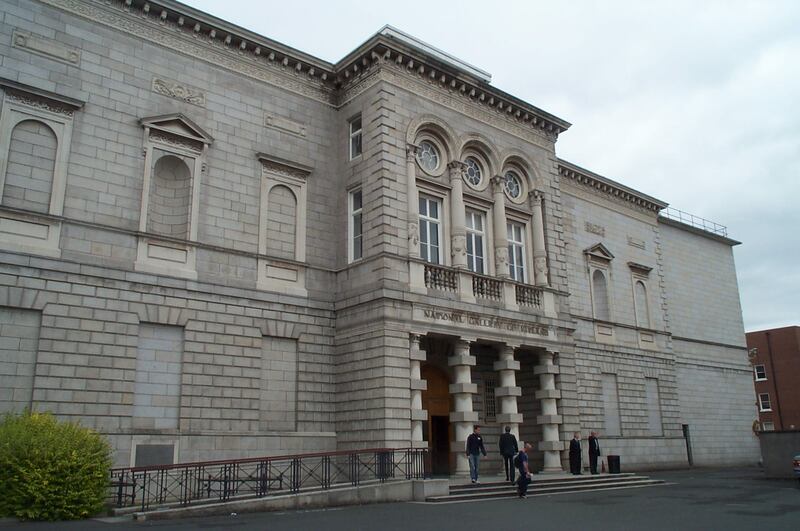 The National Gallery of Ireland (Irish: Gailearaí Náisiúnta na hÉireann) houses the national collection of Irish and European art. It is located in the centre of Dublin with one entrance on Merrion Square, beside Leinster House, and another on Clare Street. It was founded in 1854 and opened its doors ten years later. The Gallery has an extensive, representative collection of Irish paintings and is also notable for its Italian Baroque and Dutch masters painting. The current director is Sean Rainbird. Check out the full Wikipedia article about National Gallery of Ireland.